When the Recipe Redux revealed their latest recipe challenge to its members, I had a moment of …. well … the opposite of inspiration (would that be disinspiration?). The challenge? Make something that puts seeds at center stage. Seeds? Really? Don’t get me wrong, I love a good roasted pumpkin seed and I’ve been known to use tahini (which is made from sesame seeds) in some pretty unconventional ways, but for some reason, I just wasn’t feeling it. But wait….I do love a good challenge. And, I am a firm believer that proclaiming that you don’t like something you’ve never tried is just…well…pretty lame. Bring on the chia seed pudding. I’ll admit I wasn’t really sure how to approach this one. Since this crazy seed can soak up 10 times it’s weight in liquid, what would my proportion of liquid to chia seed be? Will there be algebra involved? 10 to 3? 3 to 10? Brain. Hurts. I decide I will just go with my gut, which, as it turns out, was pretty spot on. The next challenge, how to make it so tempting that I would forget my (admittedly preconceived and uniformed) notion that is was going to be a gelatinous mass of …. 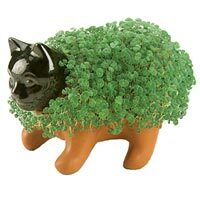 something that would justify my chia pudding fear? Chai tea! I love chai just about any way I can get my hands on it….hot…iced….ice cream. 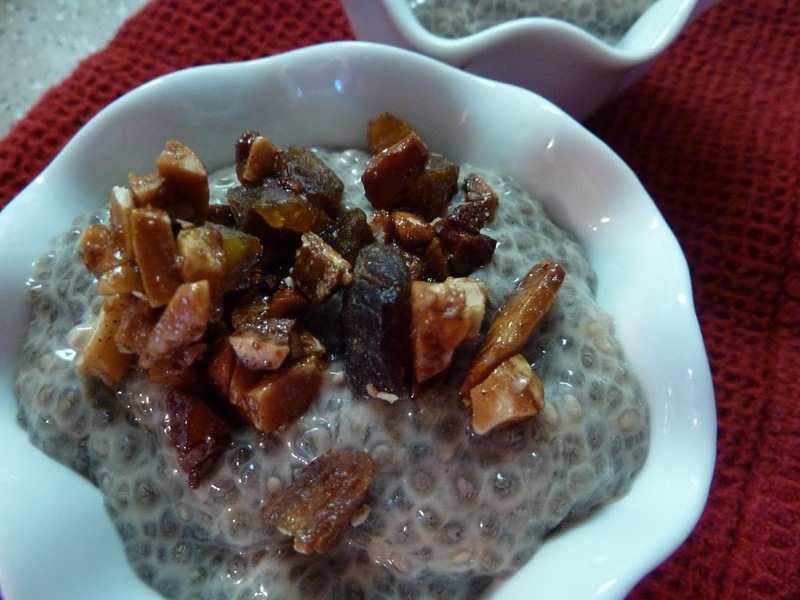 Surely it could rock a chia seed pudding (plus, how fun is it to say? cha cha cha chai chia seed pudding). Go ahead, you know you can’t resist. So, now I have the flavor figured out….how to deal with my (irrational) fear of the texture? Almonds and dried apricots! Both will be tasty with the chai spices and the textures will work well together. I spiced the almonds with a bit of cardamom and ginger (both key spices in the best chai teas) and added a bit of agave for a touch of sweetness. (It’s worth noting that cardamom has many health benefits….in fact, many cultures around the world use it for common digestive issues including IBS and heartburn). And when I finally tasted that first fateful spoonful? I. Loved. It! Turns out the texture is remarkably like tapioca pudding…one of my favorites! The added hint of chai with the crunch of the spicy nuts and the chewy sweetness of the apricots. Perfection. 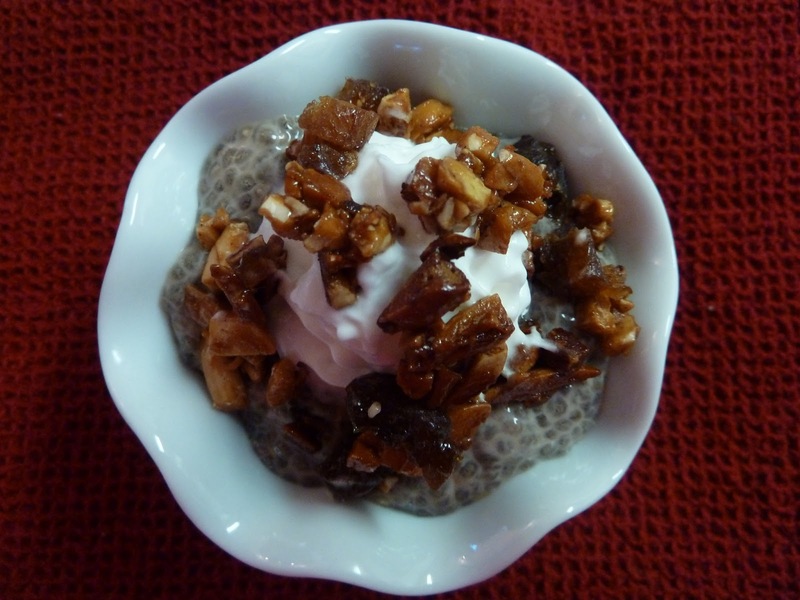 I mean, how often is it that you can whip up a dessert that is this simple AND full of fiber, protein, omega-3, and all the other good things chia seeds are know for? I am a convert. Let me know if you are too! 4. Meanwhile, make the nut topping by placing the chopped almonds, cardamom, ginger, canola oil and agave in a bowl. Toss well to combine and spread on a parchment-lined baking sheet. Bake for 5-7 minutes, tossing a couple of times, until deep golden brown. Keep and eye on them for the last two or three minutes…they can burn easily. This sounds delicious and very interesting! I will definitely be trying this recipe. I’m excited to try this. I’ve made jelly using chia seeds for the gelatin effect and it turned out great! 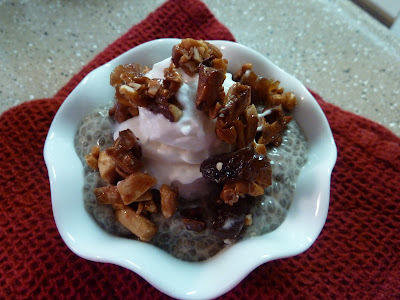 I was really surprised by how much I enjoyed the pudding, since I’m not a big fan of chia. There are so many variations…..